The thermometers must be melting. It is really hot here on Long Island, this is the third day of the heat wave and not a drop of rain in the forecast. Perfect day to be at the beach, so today I am just going to give a quick update on our garden status and then go cool down by the water. 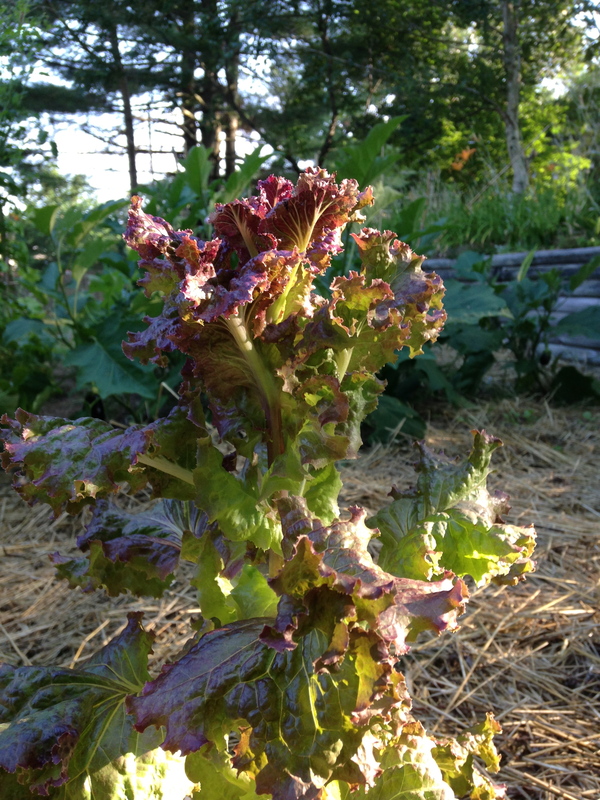 Late last week I brought some straw mulch that I put around the remaining lettuce plants. 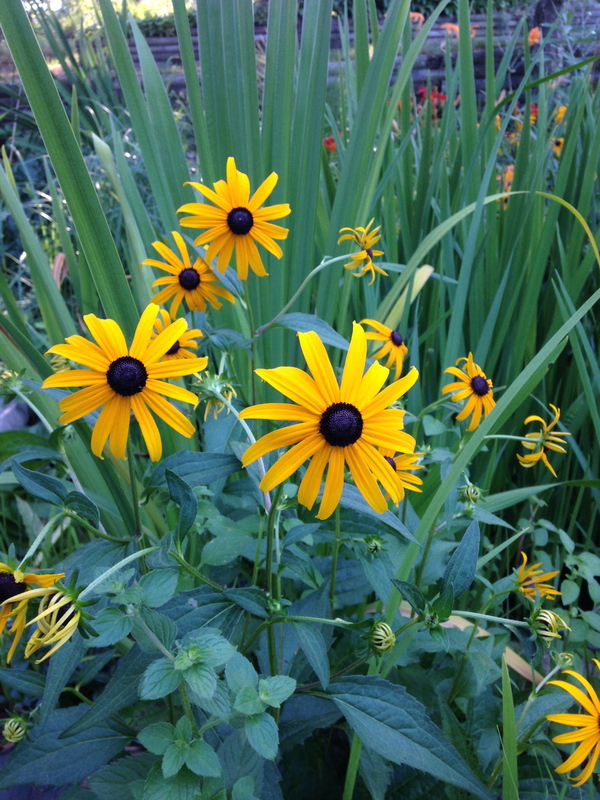 They seem to have recovered and look like they are doing better with the mulch around them. 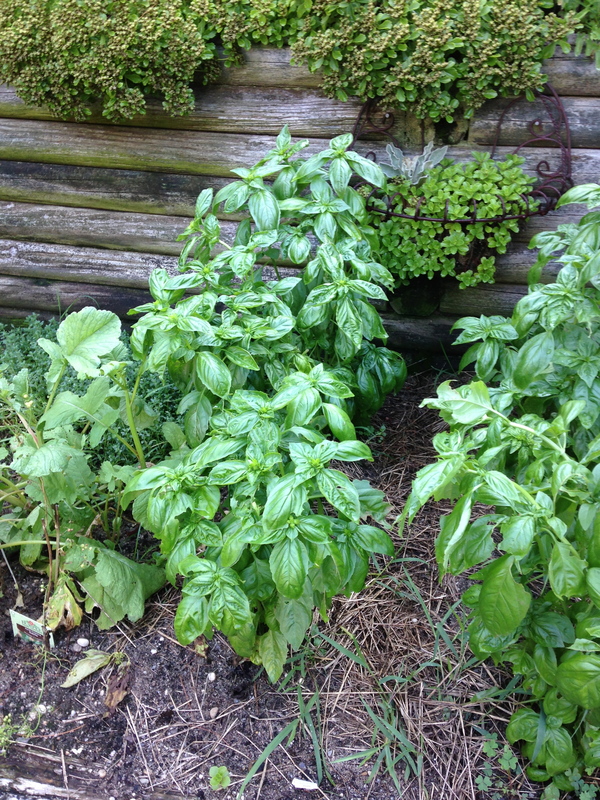 We have been able to pick enough leaves to make salads and put in sandwiches, and the plants keep on growing. 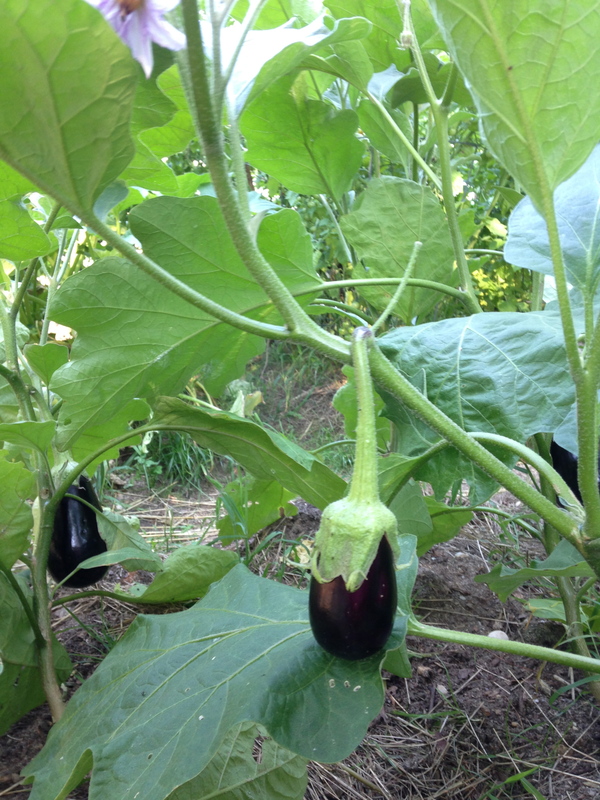 The eggplants are doing very well and so are the peppers. Yesterday I harvested some habaneros which I used for frying and also to make hot sauce. 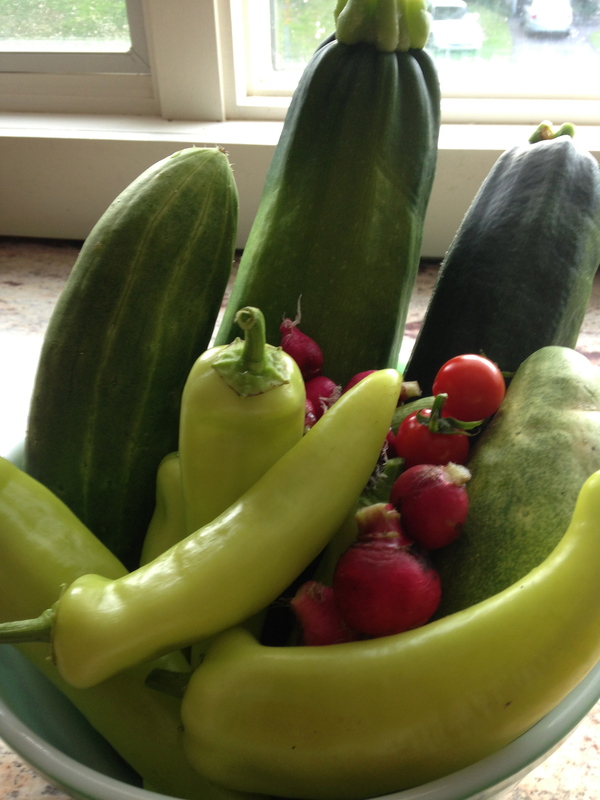 The zucchinis, cucumbers and squash are still producing but more slowly, each day there are less female flowers forming, so I guess it is the end of the season for those plants. I will leave the squash grow a bit longer, but in a week or so I may take the other two out to mulch. I already have planted cucumber seeds to take up the slack once these are gone. 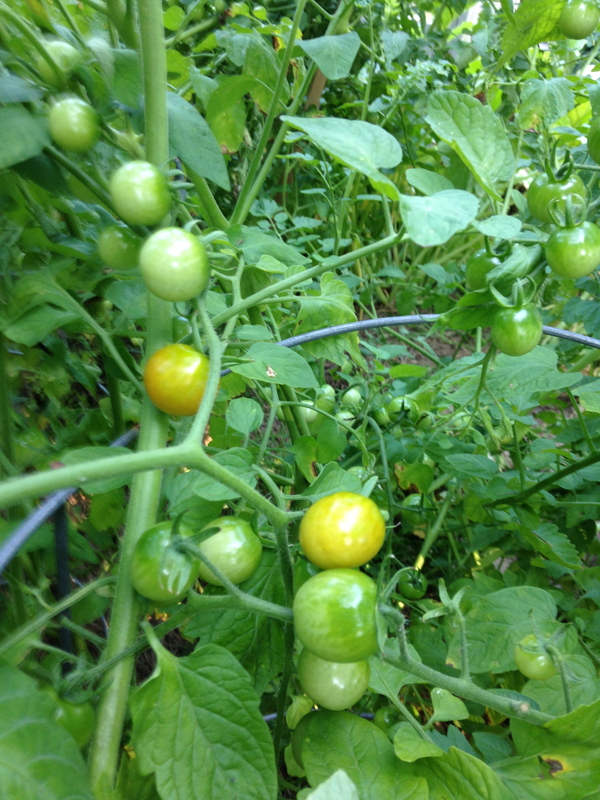 The bigger teasers are the tomatoes, each day so far we have been able to collect 5-6 ripe cherry tomatoes from all plants. These of course do not make it to any meal, we eat them while getting ready to leave for work in the morning. 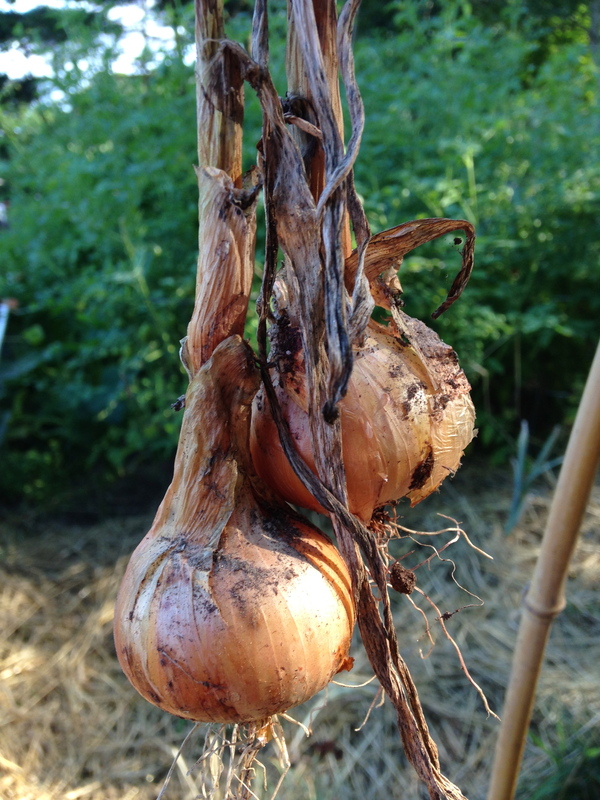 I have collected a few small onions from the ground, as some plants never recuperated after the heat on 4th of July weekend. Yesterday morning I was happy to hear the cicadas singing loudly, but could not hear them again when I came home in the afternoon, I hope they come back. 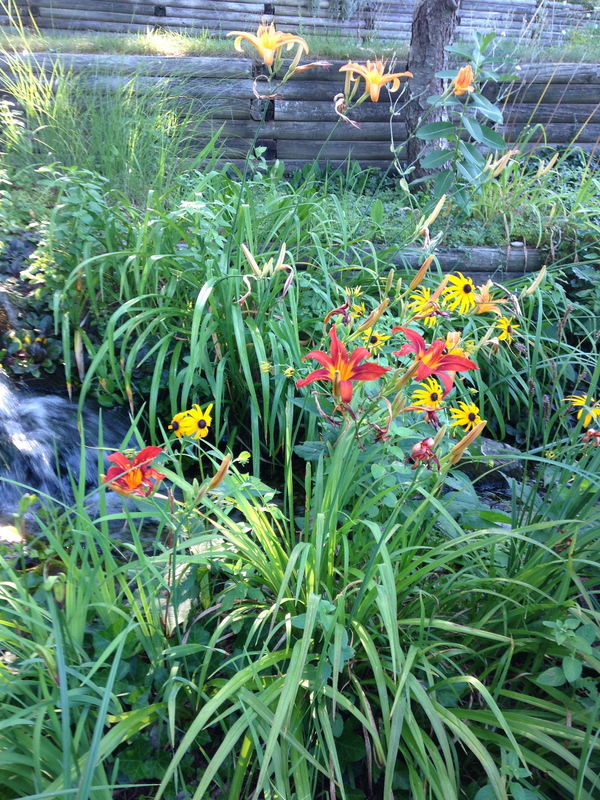 The Black Eyed Susan and Day Lilies are in full bloom around our pond but nowhere else in our yard. Estoy tan entusiasmada con todo esto que ya estoy limpiando una parte de mi jardin para tenerlo listo para septiembre cuando es primavera aqui en Bolivia, gracias por compartir.